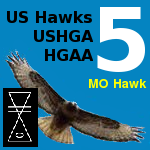 This Forum is for Official US Hawks Ratings. Another Skygod enters the resident thermal of the US Hawks! You have always been in my top drawer. Thanks for the fine welcome, guys. Nice place you have here. Happy to help if I can. for new and low-airtime HG pilots, on my web page . . .
Red wrote: Happy to help if I can. You've got your work cut out for you Red!! All kidding aside, it's great to see you here. The tips on your web site have always impressed me as the kind of "pilot helping pilot" spirit that's been dwindling with the increased commercialization of hang gliding at USHPA. You've got your work cut out for you Red!! All kidding aside, it's great to see you here. The tips on your web site have always impressed me as the kind of "pilot helping pilot" spirit that's been dwindling with the increased commercialization of hang gliding at USHPA. Welcome!! From the numbers that I have heard (unverified, on the pilot numbers), my web page has garnered more visits than the entire HG pilot population of the USA. I know that I get email from all over the planet about my web site, so it is quite possible. I have had well-experienced pilots go visit there, intending to scoff, but then they write to say they actually learned a thing or two. Hello, my name is Darin Hecker. I'm requesting a us hawk 4 rating. I currently hold h4 with ushpa. Thank you for your consideration. Based on the information available, the US Hawks H4 has been awarded to Darin Hecker. My name is Wendell Sherman - requesting HAWK 2 rating based on my current USHPA H2 (97841) rating. Based on the information available, the US Hawks H2 has been awarded to Wendell Sherman.